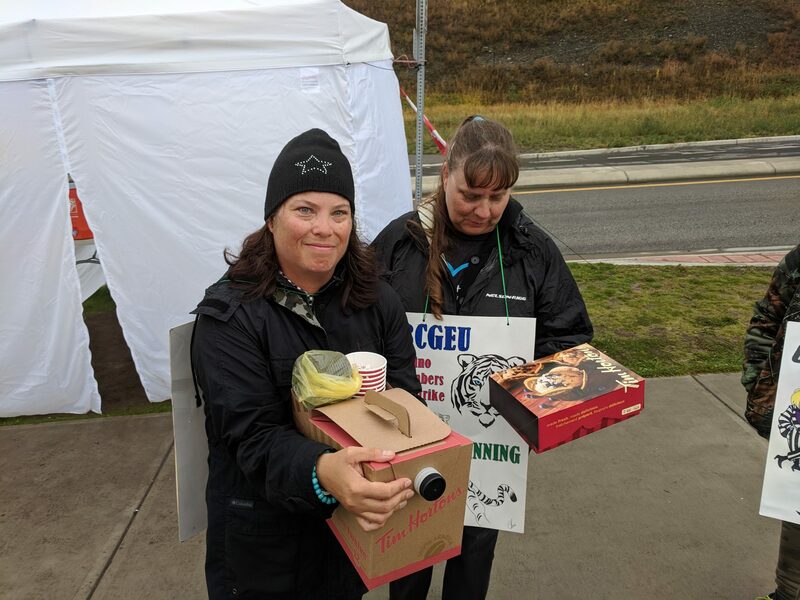 IBEW Local 993 dropped off hot coffee to support workers on strike at Cascade Casino. If your driving by stop and show your support to the BCGEU workers. Shoe Memorial to commemorates the National Day of Remembrance and Action on Violence Against Women.